St Helena Island is looking for investors to be a part of its vibrant one-by-one fishery as the island goes through an exciting period of change. With the recent opening of the St Helena Airport, the island now has the opportunity to export high quality fresh tuna to international markets, while continuing to provide the local community with a range of seafood products. St Helena is seeking an investor to buy into and benefit from St Helena’s highly sustainable fishing industry, whilst ensuring the industry continues to benefit the island. St Helena is fully committed to sustainability. The waters out to 200 nautical miles are part of the world’s largest “one-by-one” only tuna fishing zone, ensuring all catches are made with minimal harm to the marine environment, whilst supporting our local fishermen. This zone is a cornerstone of St Helena’s local identity, supporting many generations of fishing tradition. Given the opportunity to access premium international markets, St Helena is ideally seeking investment to move the industry forward in a way that continues to support our local community and sustainability vision. Its fishermen catch an array of tuna species, including yellowfin, bigeye, skipjack, and occasionally albacore, in addition to an array of coastal species that largely go to the local market. All fish is currently landed to St Helena Fisheries Corporation (SHFC), which has the capacity to store, freeze, process, and distribute seafood for the local and international market. Investors are invited to submit their ideas and/or proposals to take over core services currently provided by SHFC and help shape the future of St Helena’s fishing industry. St Helena Government is not fixed on backing a specific operational/sales model and is looking for innovative ideas from investors passionate about sustainability. Investors are invited to submit their proposals to take over core services currently provided by SHFC and help shape the future of St Helena’s fishing industry. 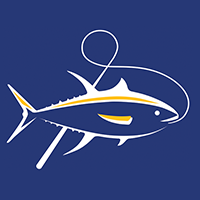 A copy of the St Helena Government Fisheries Request for Proposal pack can be found on the St Helena Government e-procurement system which can be accessed via: https://in-tendhost.co.uk/sainthelena following registration on the system. Any assistance required in registering should be addressed to the Procurement Office for the attention of Christy Joshua. E-mail: christy.joshua@sainthelena.gov.sh or telephone number (00 290) 22470. This is a unique opportunity to be part of a world leading one-by-one sustainable fishing industry, and to capitalise upon our new but unique “Sustainable St Helena” brand.